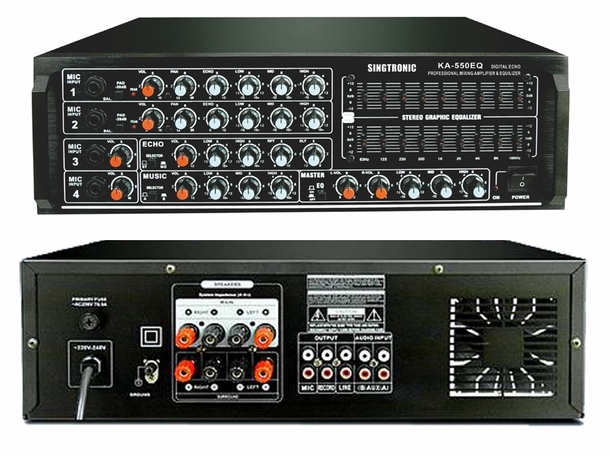 Design in Japan, The best SINGTRONIC KA-550EQ professional karaoke mixing amplifiers just got better with Built in 9 Channels Equilizer. This amplifier now features Super Bass, Auto Singing-Mate function, and complete mastery control of karaoke performance. The front panel has been redesigned for better ease of use. 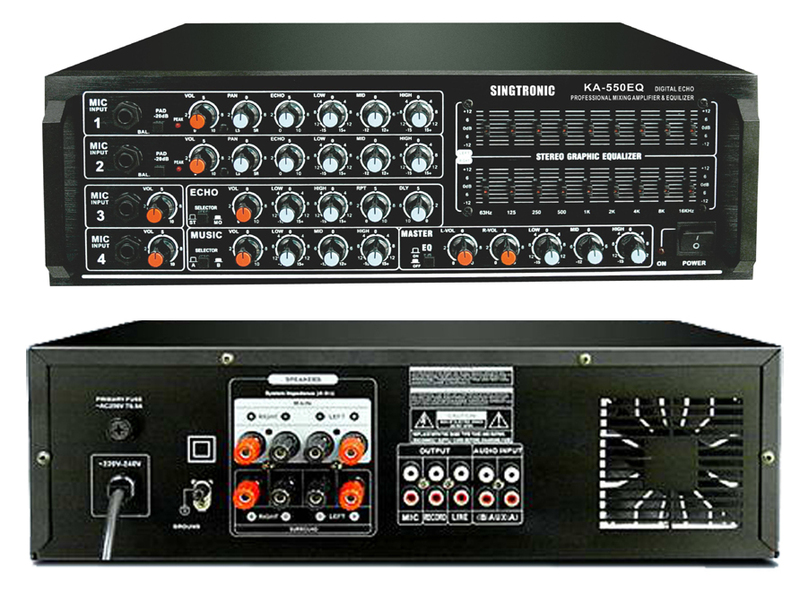 Just for DJ's and KJ's, this amp is now rack-mountable! These amplifiers are well-known for their ability to maintain continuous usage while putting out maximum wattage. A cooling fan is added to effectively remove heat from the KA-1500. This amplifier boasts 1000 watts and a large number of features and reliability so DJs or KJs who are seeking reliability will not have to worry about the dreadful setback of equipment failure.